Money management is something that can make or break the average college student. Even before graduating, money can have a more pivotal role in life, especially when debt is involved. This can become overwhelming if left unchecked and includes not only bank and student loans but credit cards as well. For anyone wealthy or otherwise, having a budget is the best way to manage debt and keep your money for the most important things. Here are the first steps to budgeting for someone who may be new to tracking their finances. 1) Look at your bank statements and make note of where you are spending your money the most. Put these things in categories like gas, food, toiletries, etc. Many people would have a hard time paying for an unexpected car repair or sudden medical expense; if this is you, putting money towards an emergency fund may be a good idea. Make that one of the categories on your budget. Also include donations if you give money to a charity or church. 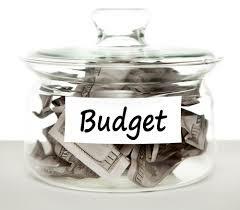 *The trick to any effective budget is to account for every dollar spent so including EVERYTHING is key. Put savings first and bills right after so as to make sure these things are accounted for and out of the way. Then put other needs and wants down in order of importance, like shopping or eating out. Now that you see how much money you have and where you’re spending it, it’s time to make a few compromises in your daily life–especially if you’re trying to save money. If you have an extra unnecessary expense such as a morning coffee, be frugal at least one day a week and put that money towards other bills or an extra payment on loans. Budgeting requires a little effort but should never be scary. In fact, sticking to a budget can make your bank account look like you got a raise. Good luck and happy budgeting. I believe in you!